Situated, about 60 kms away from the coast of Chennai across the Bay of Bengal, the beautiful town of Mamallapuram stretches between latitude 12°37' in the North to longitude 80°14' in the East. 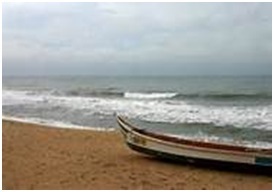 One of the most influential cities of Tamil Nadu today, a tour to Mamallapuram or Mahabalipuram as it is more popularly known is a definite must-have in your tour itinerary of Tamil Nadu. Once, one of the busiest ports of the Pallava dynasty, the beautiful city of Mahabalipuram or Mamallapuram has puzzled countless social historians on the puzzle of its origin. Though a number of architectural remain allow experts to contemplate on the origin of this beautiful city, yet the mystery surrounding the birth of the city of Mahabalipuram or Mamallapuram grows with time. Shore Temple :Carved out of a single piece of stone, this temple has a history that dates back to as early as 1400 years back. PanchaPandavaRathas :5 exquisitely sculptured carriages which date back to the 7th century signify homage to the 5 Pandava brothers and form one of the leading tourist attractions of Mahabalipuram. Arjuna's Penance: The world's largest bas-relief, this beautifully carved tourist attraction of Mahabalipuram contains within itself a number of mythological references that are allusions some of the greatest Indian texts such as the Ramayana and the Mahabharata. Varaha Cave: A rock cut hall which serves as a mandapa or hall; this is one of the most important tourist attractions of Mahabalipuram and a must-visit while on a tour to Mamallapuram. You can enjoy a boat ride at the serene Muttukadu Lake, which is more fun during the cooler months from October to February. The lake is large and there is enough space for the boat to ride to different corners. If not hills, you might spot few buildings in the backdrop but riding under the over-bridge is quiet an experience. You can choose from the different type of boats (pedal boat, row boat and speed boat) that are available at the Muttukadu Lake Boathouse. If you wish to try something unique, there is a bamboo boathouse and a floating boat jetty are at the Muttukadu boating facility. ** Special Discount Vouchers will be given to the delegates for shopping in specified shops. 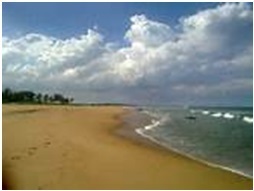 Marina Beach is a natural urban beach in the city of Chennai, India, along the Bay of Bengal, part of the Indian Ocean. 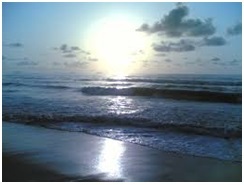 It is the second longest beach in the world. Express Avenue is the hub for the contemporary shopper. Shopping here is a combination of traditional stuff as well as modern. There are multiple brands as well as multiple outlets to choose from. There is also a well- appointed food court that can cater to your hunger pangs. 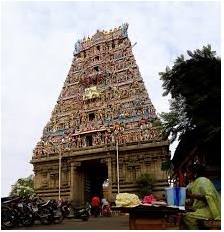 The Parthasarathy Temple is an 8th-century Hindu Vaishnavite temple dedicated to the God Krishna, located at Triplicane, Chennai, India. St Mary's church : St. Mary's Church located at Fort St George, is the oldest Anglican church East of Suez and also the oldest British building in India. 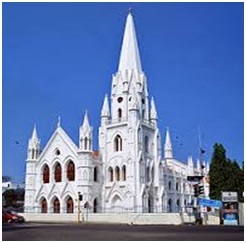 The church is popularly known as the 'Westminster Abbey of the East'. Proceed to Pondicherry in the morning by 6 am. Among the galaxy of most important and ancient shrines of India, the Hill temple of Lord Venkateswara at Tirumala occupies the unique place.The Srivari Temple dated back to 1200 BC sprawls over an area of few acres, is a huge shrine with 415 feet long and263 feet wide. 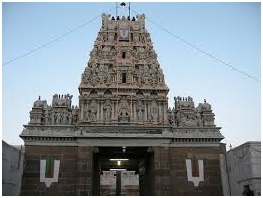 It has three prakaras or enclosures encircling the holy sanctum of Lord Venkateswara. The metal sealing is as old as 1000 years. It also houses separate chambers for keeping the Lord's ornaments, holy silks, fresh garlands. Besides a Potu (kitchen) to make Ladduprasadam for devotees, there is also a special kitchen where the daily food (naivedyam) for the Lord is prepared throughout the day. All meals on direct payment basis. Tirupathi can be also be visited by Air-Conditioned Volvo bus. The Charges are Rs. 1500/- per person. The Volvo service leaves T Nagar by 5 am in the morning. The same is inclusive of SeegraDarshan Tickets.